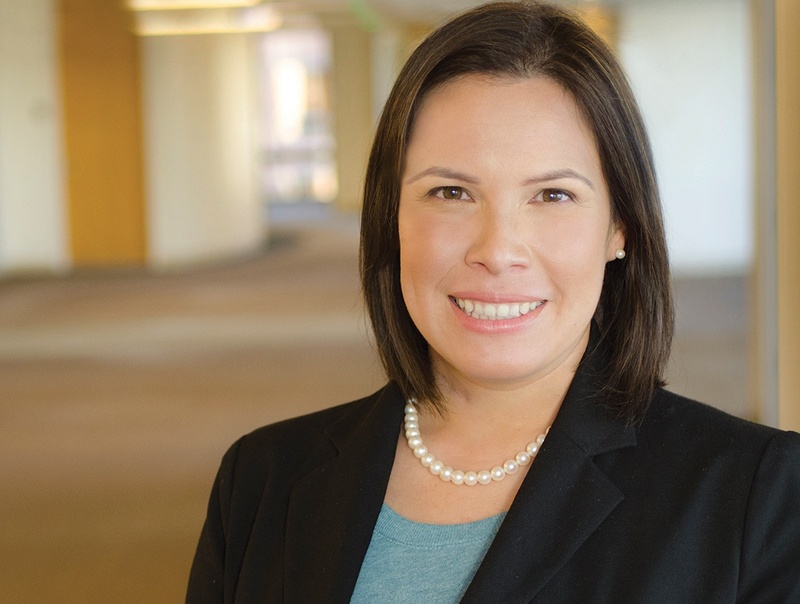 Maricela Marroquin is a Senior Attorney in the Public Law Department at Richards, Watson & Gershon. Maricela has over 15 years of experience representing local governments. She is City Attorney for the City of Highland and is Assistant City Attorney for the City of Temecula. Maricela also regularly staffs the Temecula Planning Commission meetings. Maricela has expertise in land use, planning and zoning law, the Brown Act, the Public Records Act, and housing-related laws. In the land use area, Maricela has worked on a variety of projects ranging from the adoption of Specific Plans, General Plan amendments, residential subdivisions, and mixed use projects. Maricela has also authored ordinances on subjects such as prohibiting smoking in multi-unit residential housing, prohibiting smoking in public places, purchasing procedures, and regulating massage establishments, accessory dwelling units, and collection containers. Maricela also routinely drafts and negotiates municipal contracts, such as professional services agreements, development agreements, and settlement agreements. Maricela has significant expertise in the complex and constantly evolving State and Federal laws regarding cannabis including Senate Bill 94, the Medicinal Adult-Use Cannabis Regulation and Safety Act and the Controlled Substances Act. Maricela assists city clients with understanding their options for regulating or prohibiting cannabis businesses in their jurisdiction, and has drafted over twenty ordinances regulating or prohibiting commercial cannabis activities. Maricela has also drafted local ballot measures to regulate and tax commercial cannabis businesses including retailers, cultivation, manufacturing, and testing laboratory facilities. Maricela began her legal career with Richards, Watson & Gershon in 2003 when she worked as a Summer Associate with the firm. Maricela spent ten years representing cities in various litigation matters including administrative mandamus proceedings, municipal and tort defense, code enforcement, contract disputes, and condemnation actions. As a former eminent domain attorney, Maricela assisted clients in all stages of the pre-acquisition process for grade separation, road widening, and detention basin projects. Maricela has now switched her focus to providing advisory assistance to clients on a wide variety of municipal law matters including the Brown Act, the Public Records Act, conflicts of interest, contracts, and housing related matters. Maricela has represented the cities of Agoura Hills, Banning, Beverly Hills, Calimesa, Covina, Monrovia, Norwalk, San Marino, and Yucaipa. Maricela has significant expertise in State laws pertaining to cannabis for both medicinal and adult-use. Maricela provides advisory assistance to city clients to help them understand their ability to regulate or prohibit commercial cannabis businesses, the regulation of cannabis for personal use, and cannabis taxation issues. Maricela has provided advisory assistance to over twenty cities regarding cannabis regulation including Agoura Hills, Covina, Beverly Hills, Compton, Monrovia, Norwalk, Temecula and Yucaipa, and has drafted ordinance for these cities. Maricela assisted the City of Temecula in drafting the necessary documents for the adoption of the Uptown Temecula Specific Plan, including a General Plan Amendment, approval of the Specific Plan, certification of the EIR, and amendment to an adult business overlay zone. Maricela also assisted Beverly Hills in drafting tobacco smoking regulations. Maricela has delivered presentations before public officials, attorneys, and community members, including the Orange County City Attorney’s Association, Ventura Council of Governments, and the cities of Beverly Hills, Calimesa, Compton, Highland and Temecula on topics ranging from cannabis regulation to the Brown Act, meeting management, due process laws, Public Records Act, CEQA and conflicts of interest.